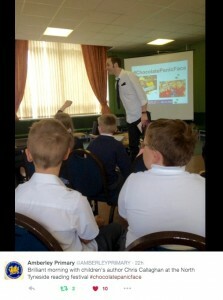 It was set in my old school! I left this school almost 30 years ago with a handful of O’ Levels ready to join the Royal Air Force. 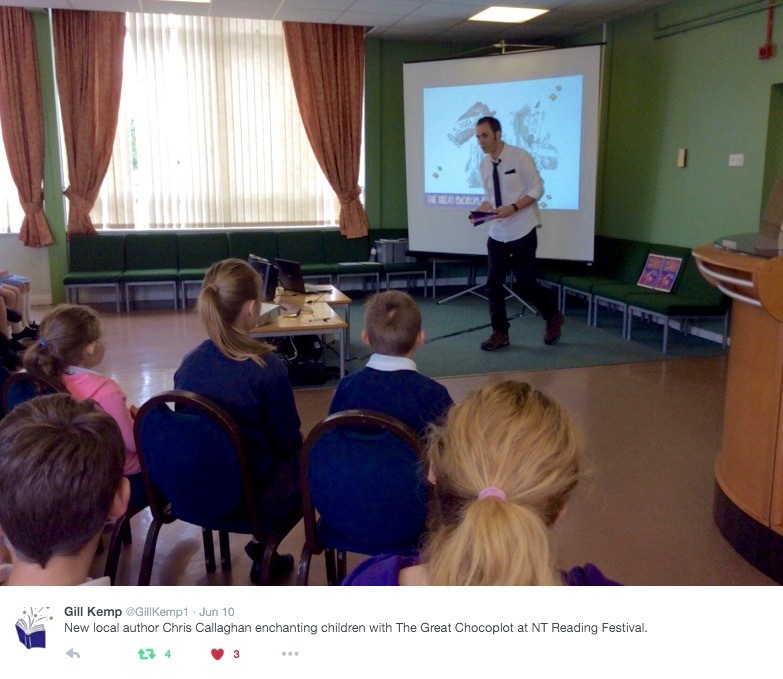 So, it was incredibly strange to return to talk about my debut children’s book to audiences from schools throughout Tyneside. 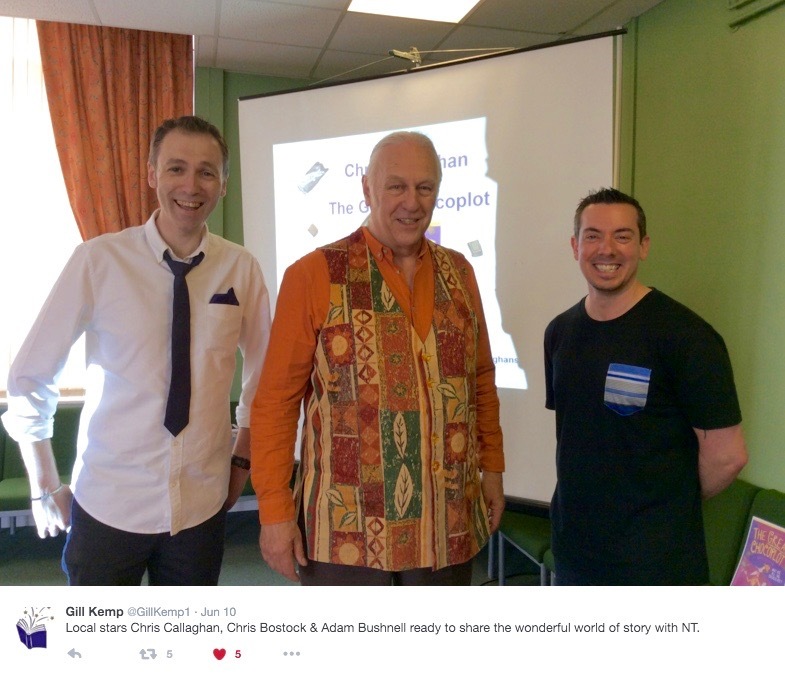 There were loads of fun events going on throughout the festival and I shared the day with author Adam Bushnell and Story Teller Chris Bostock. 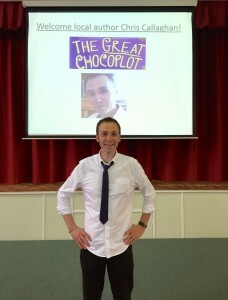 I loved seeing lots of ‘chocolate panic faces’ and sharing my chocolatey story, as well as being asked lots of great questions. 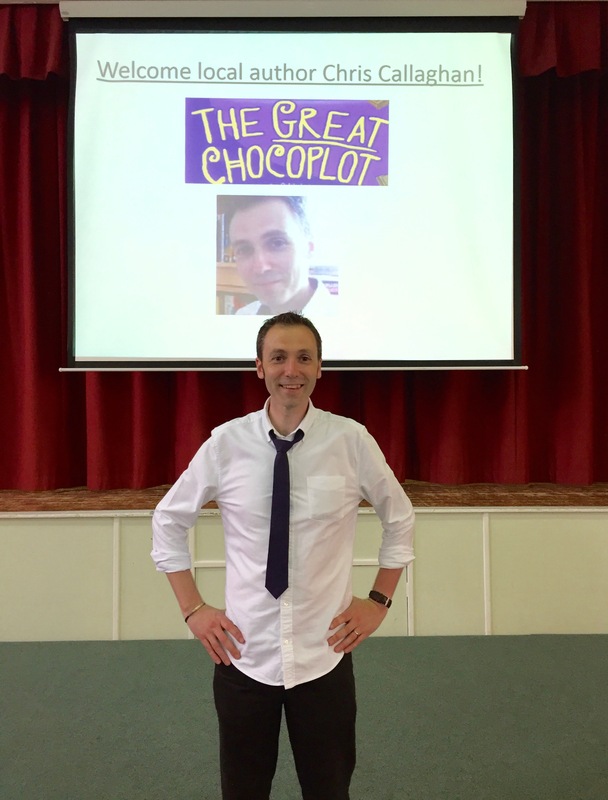 I’d like to thank all the schools that came along, the enthusiastic staff at Langdale and Gill Kemp for the seamless organisation. Hopefully I played a small part in getting more children interested in reading – which was the whole point! ← The Chocopocalypse makes the Front Pages Again!